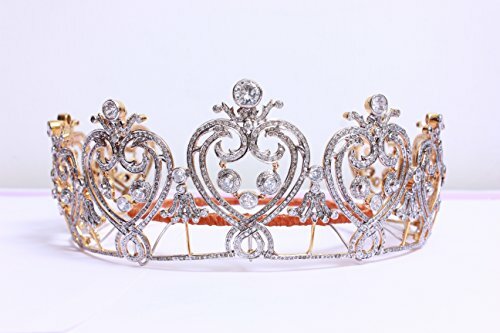 This Tiara has been inspired by The Manchester Tiara . It is handcrafted in an attempt to make the royal look wearable for that special girl who is getting ready for her wedding. It has natural diamonds set in sterling silver. Larger stones used in it are cubic zircon. If you have any questions about this product by Pushpa Jewels, contact us by completing and submitting the form below. If you are looking for a specif part number, please include it with your message.